Ásfólk is a group dedicated to Viking martial arts. Our students (ages 7-137) learn to fight like a Viking using authentic Viking weapons and equipment. Our focus is NOT on re-enactment or stage performance. 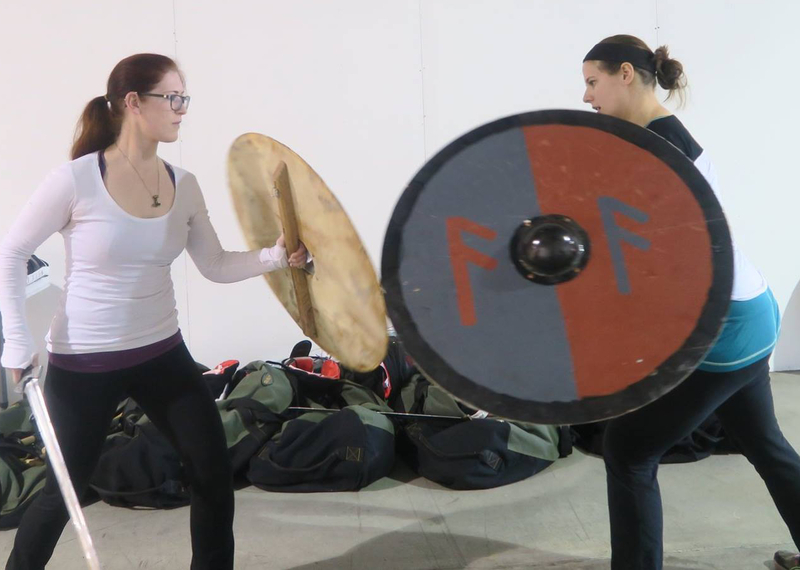 Our focus is on understanding and practicing the fighting style used by the Vikings. We recreate this fighting style by studying archaeological evidence, analyzing the sagas and reverse engineering from later period treatises and weapon evolution. All our school weaponry and shields are reproductions. Some of them are 100% authentic reproductions but some of them have been modernized such as replacing hide with linen or bloomery iron with modern steel. But the size, weight and handling characteristics are always 100% accurate. This is critically important to ensure you learn correct form. If the shape, size, weight, balance, or other handling characteristics are not true to history, you will develop bad habits and fail to understand how the weapons and shields should interact. Jarl Arthur, a.k.a. Dr Von Eschen, has been enthralled with the early middle ages for at least 35 years (that’s as far back as he can remember). He’s had a particular interest in Vikings for 30 of those years ever since he was exposed to the sagas. The Jarl has been studying European martial arts off and on for over 25 years but has focused exclusively on Viking martial arts for the last 5. He has studied with many experts in this space including William Short of Hurstwic and Roland Warzecha of Dimicator. 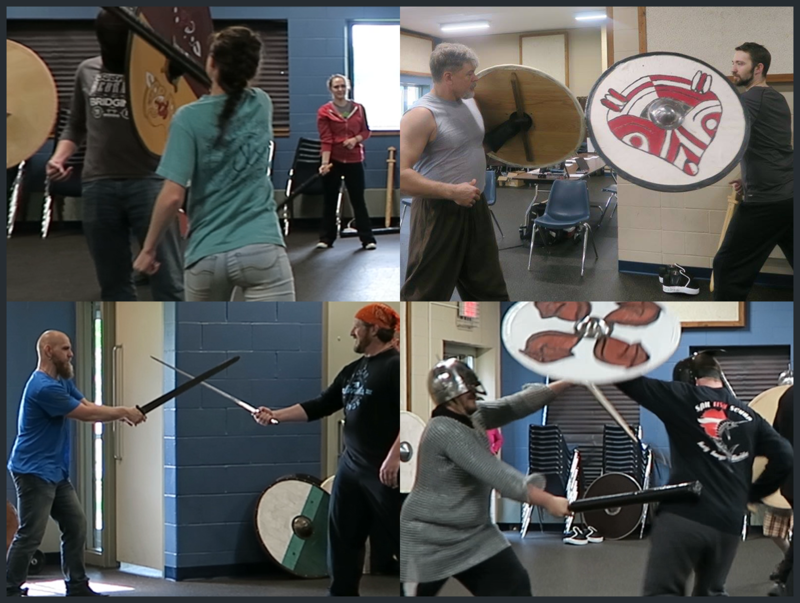 Since the Jarl’s primary teachers are scattered all over the world, when he moved back to Minnesota in February of 2016 he started Ásfólk to provide others with the opportunity to learn Viking martial arts without having to travel all over the world to find proper instructors. His vision is to one day see a proper fight between two highly skilled Vikings in their prime. 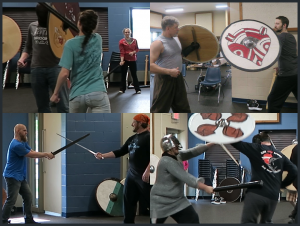 The Jarl is no longer in his prime… but he hopes that through Ásfólk he will be able to train a new generation in the historical fighting style of the Vikings. It took us longer than we wanted… way longer… but we finally have our own space. It’s a 3,200 square foot facility located in the warehouse district of Eagan, MN. The photo above is a bit dated but hopefully you can still see why we call it "The Longhouse".